Get paid for your job quickly, using invoices generated from Atollon. 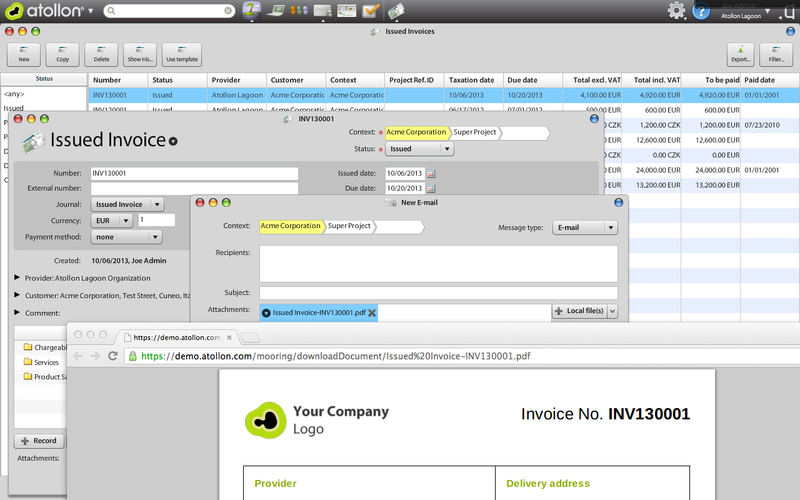 Invoicing using Atollon tools is very easy. Anyone can send an invoice to your client. Within a few clicks, Atollon will prepare a new template based e-mail and attach it in PDF format. 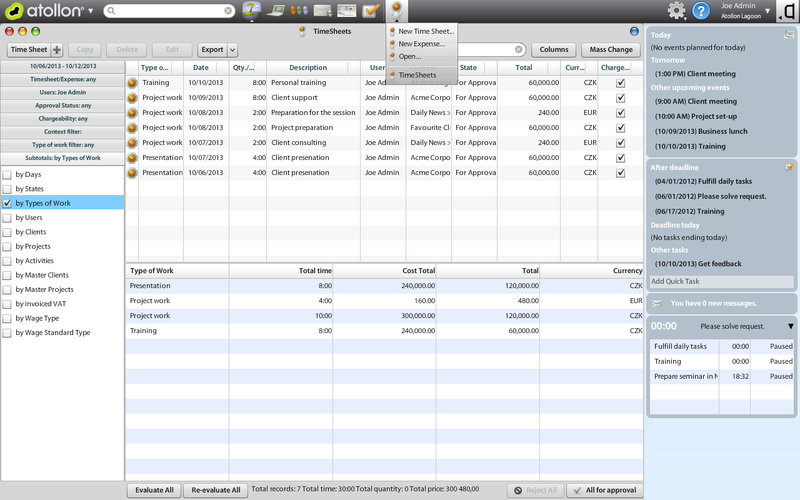 Atollon Lagoon Professional will create draft invoices automatically for your approval. No more manual invoice creation, no more delaying of invoicing. Let the system do the work cost evaluation for you. Based on timesheets either manually entered by users or automatically collected by the system, you may get immediate overview about your client or project profits. The billing fully automated. Recurring fees allow you set any frequency to your ongoing charges for your services. Recurring Fees perfectly fit your workflow, even the billing may wait for your confirmation of recurring job completion. 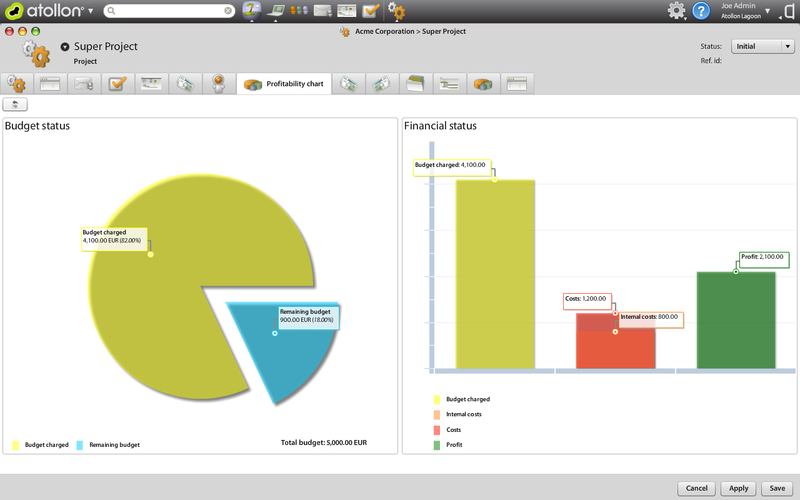 Track all your costs incurred to projects. 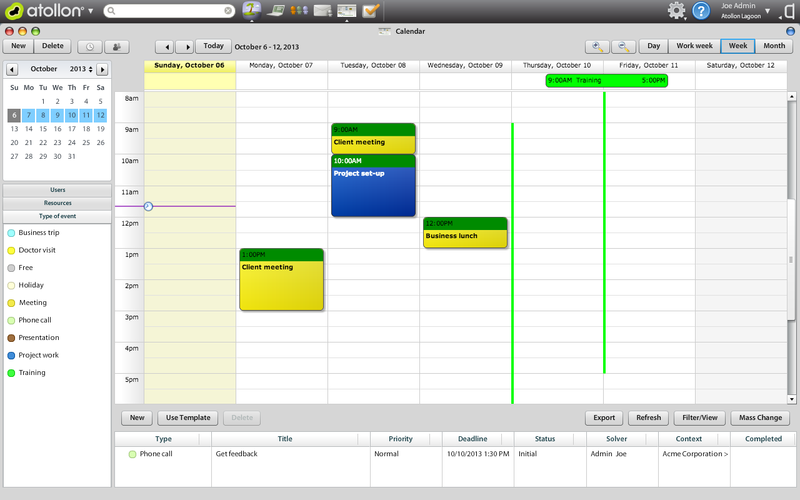 Time sheets allow you to track your people's effort, received invoices will help you track any external costs. Projects profitability report helps you gather instantly data from various sources, incl. budgets, issued invoices, sales orders, received invoices, time sheets or purchase order to get a clear picture about your project profits and where it can be improved.